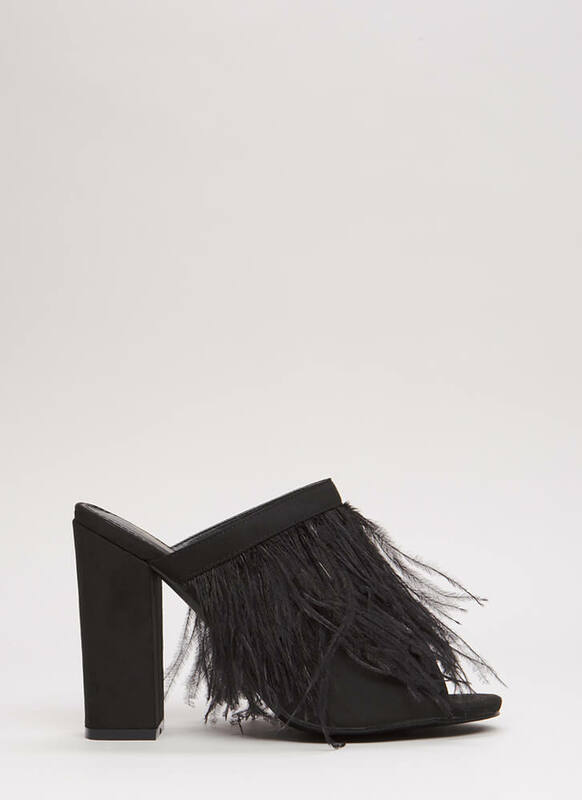 We've discovered our new favorite kind of fringe -- feathers! 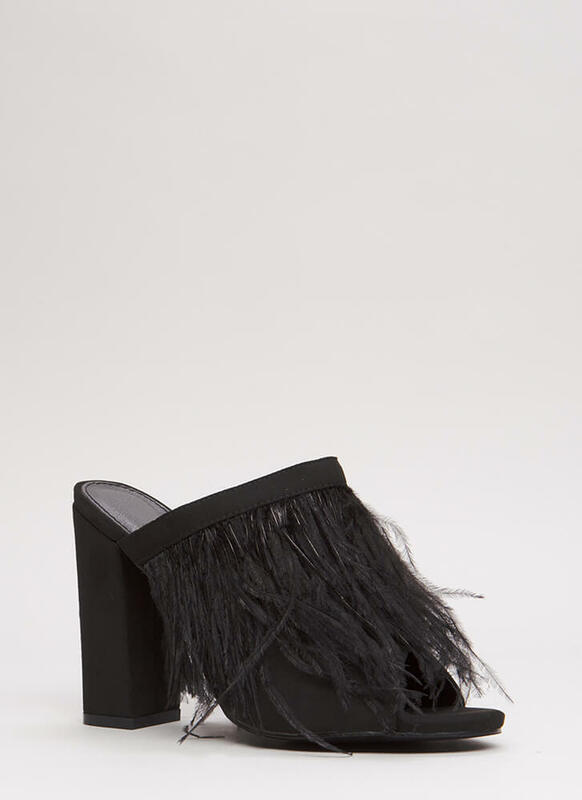 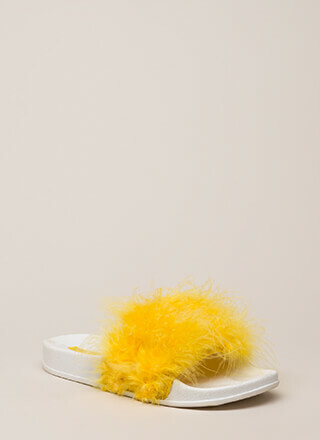 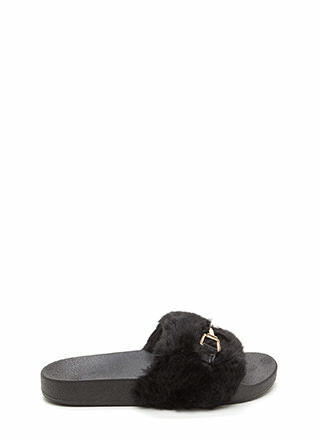 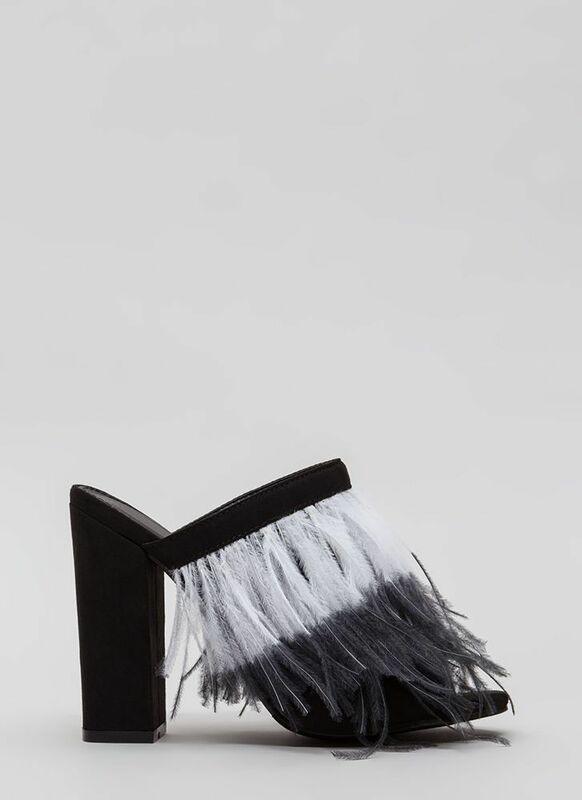 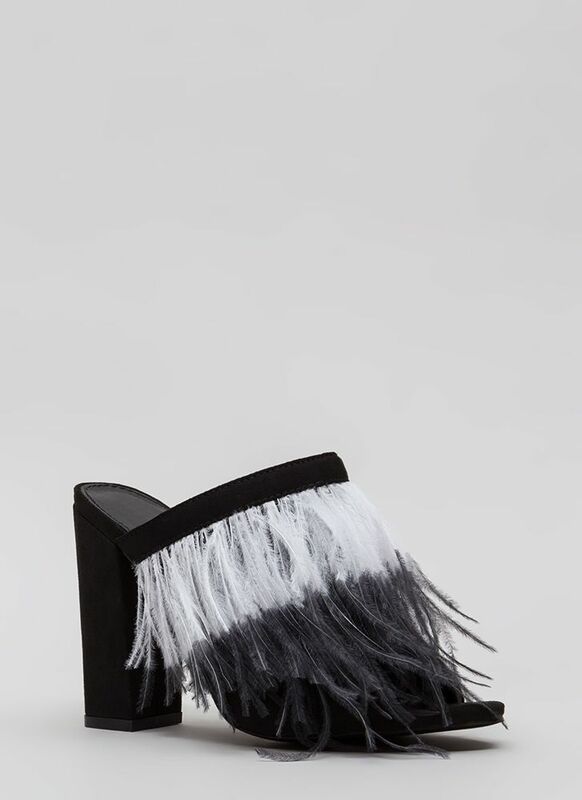 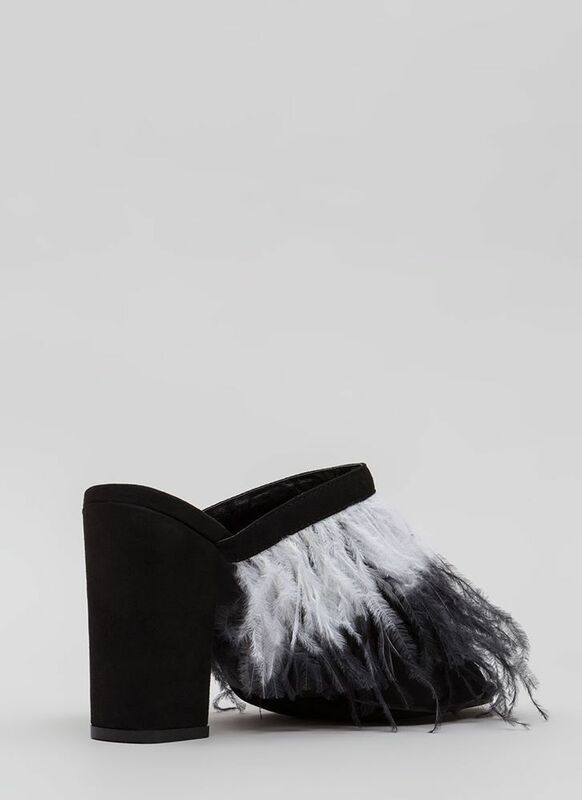 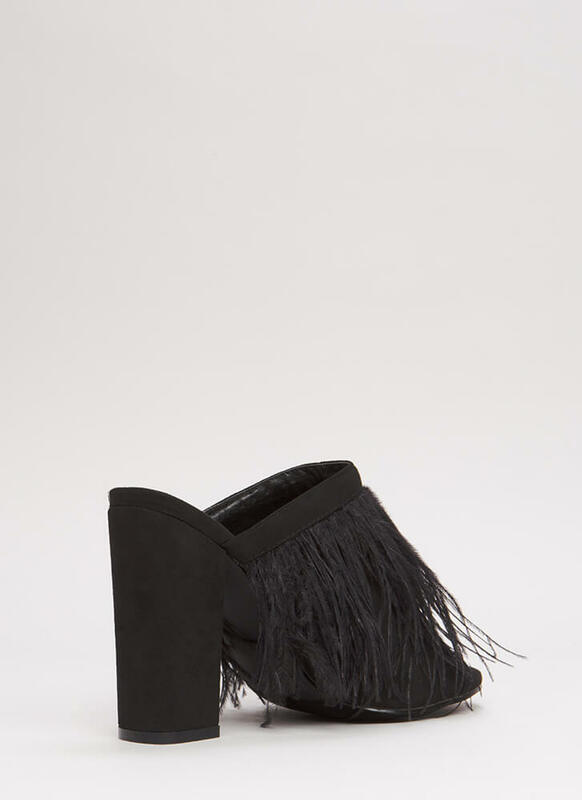 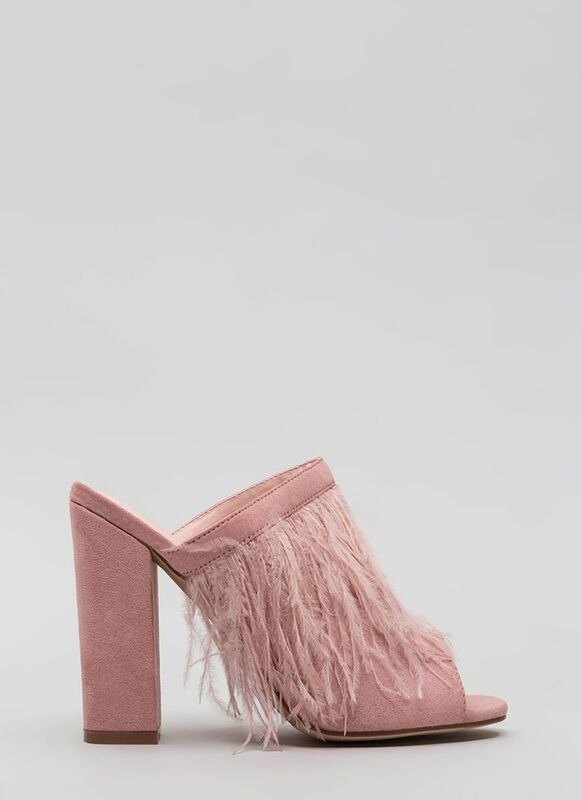 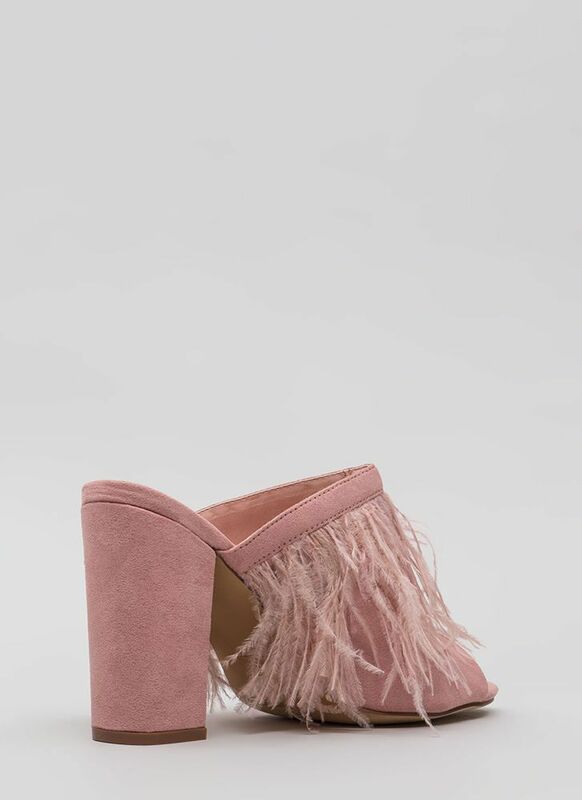 Chunky, vegan suede, peep-toe mule heels feature a slip-on design with a wide panel that is covered in thin faux feathers for a fringed look. 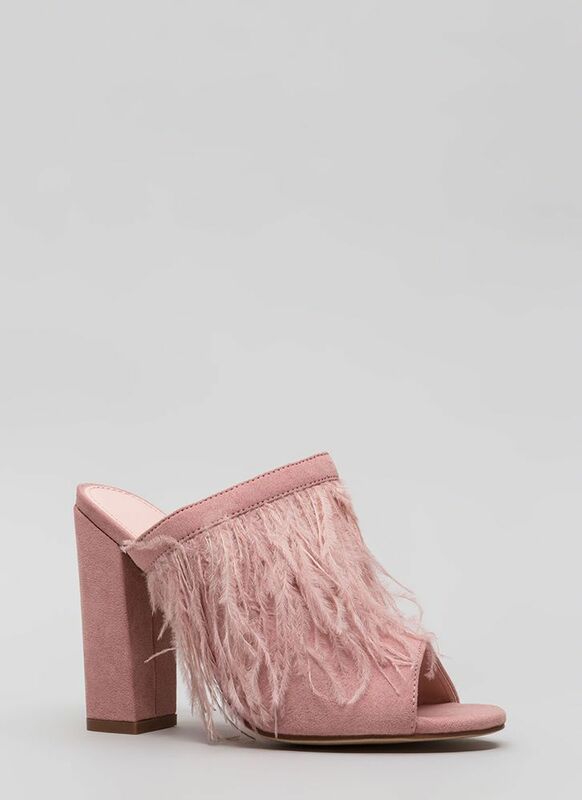 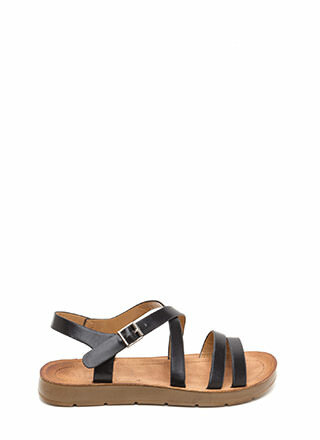 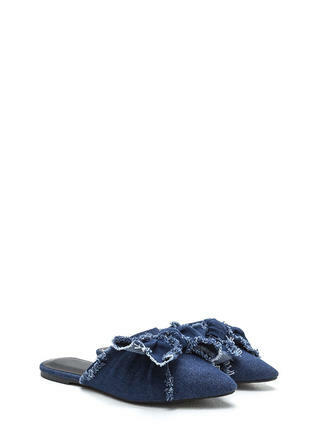 Shoes are finished with a velvet sole and no closures.